Dudley Oaks is a 20-unit, Section 8/Tax Credit community located in South Los Angeles, CA. The waiting list is currently closed. Dudly Oaks was acquired by Thomas Safran & Associates in March 2016 and will undergo a renovation to be completed in 2018. The community features one and two bedroom units. Resident services include monthly parties, morning socials, exercise classes and more. 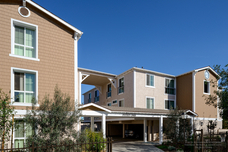 Dudley Oaks is conveniently located near USC, public transportation and various restaurants and markets.